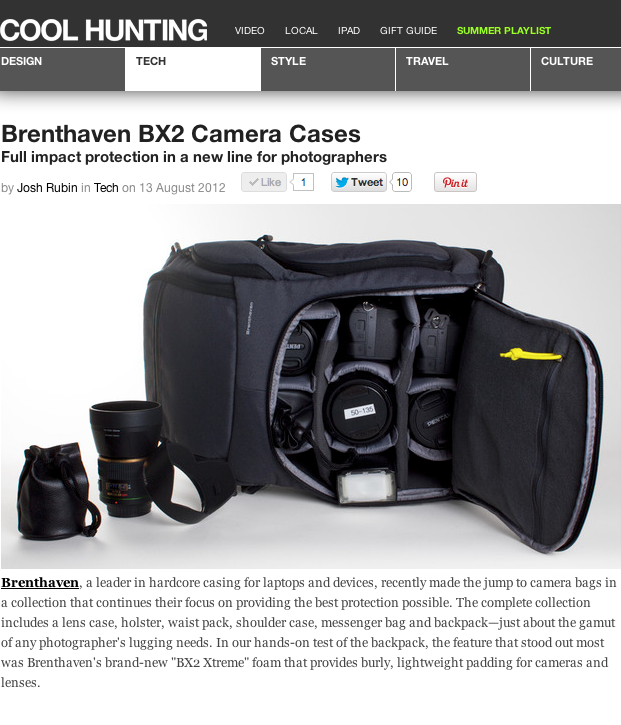 Brenthaven’s new camera bags featured on coolhunting.com. These are bags that are meant to hold much more than just a camera. Stylish, well designed silhouettes for cameras, phones, laptops and ipads. All of the necessary equipment a photographer needs.